Michelle Williams' Brooklyn Townhouse Sells For A Whopping 8.8 Million! 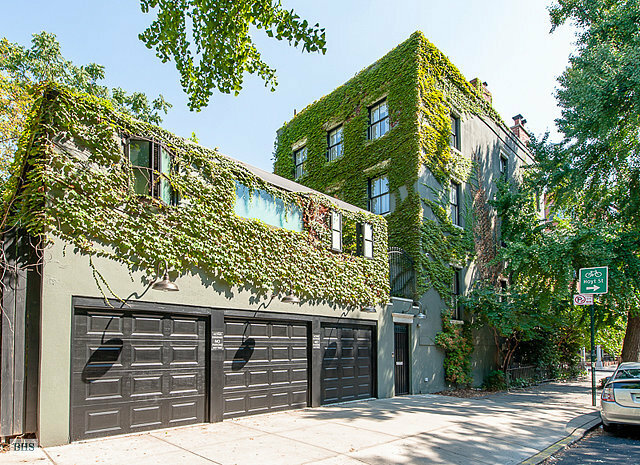 Michelle Williams has sold her beautiful four-story townhouse in Brooklyn, NY for whopping $8.8 million dollars! Williams used to share the charming ivy-covered home with her late partner, Heath Ledger. It has eight bedrooms, four and a half baths, a large garage and a landscaped roof deck. In short, the lavish house is a complete stunner. 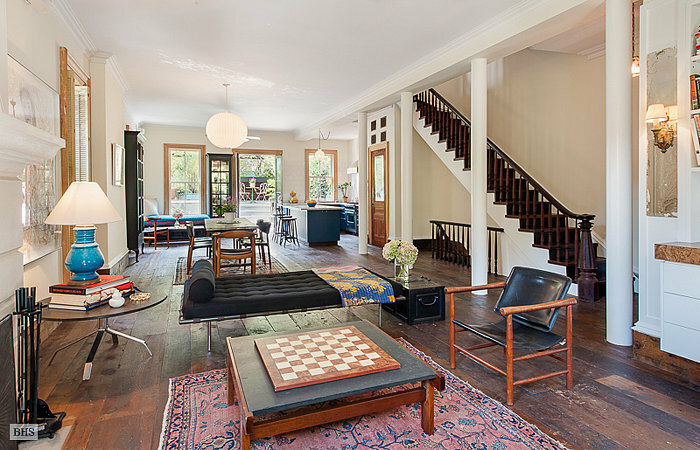 We can't stop staring at Boerum Hill's beauty of a townhouse. The ivy covered walls add to the charming ambiance. The living area is breezy and spacious. 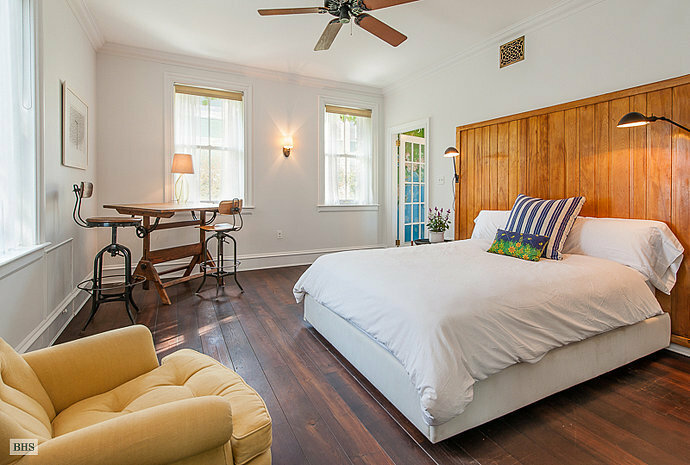 The off-white furnishings blend seamlessly with the wood trimmed windows. 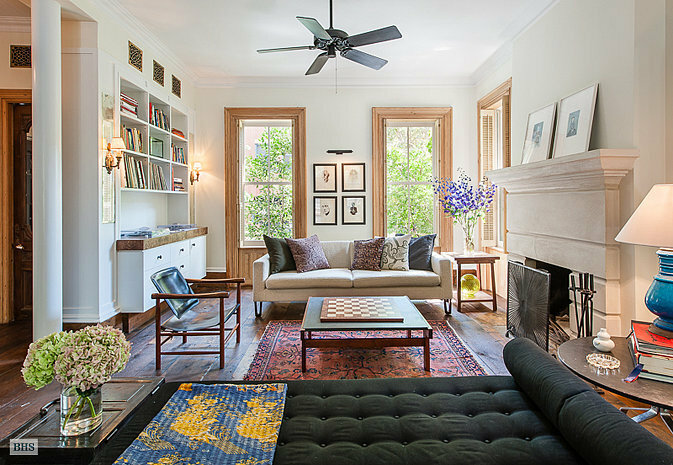 The brownstone parlor floor fuses well with the white 12-foot high ceilings. The white and blue lamp sitting atop a stack of books and the rug give the room a homely vibe. The contemporary kitchen has a walk-in pantry and opens to a rooftop garden. 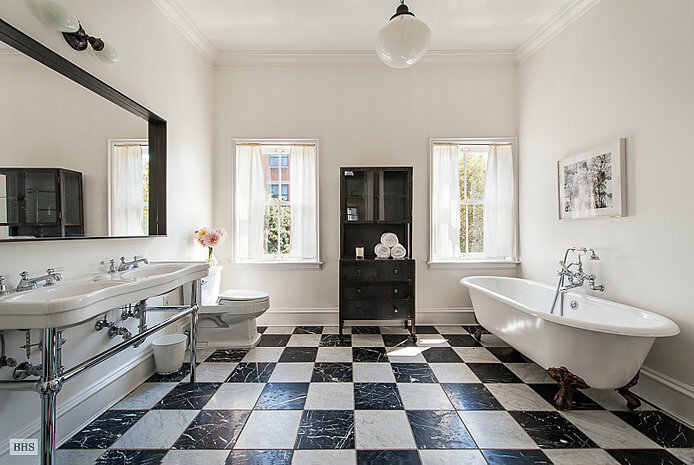 The bathroom is enormous, and the black and white checkered granite floor tiles are highly impressive. 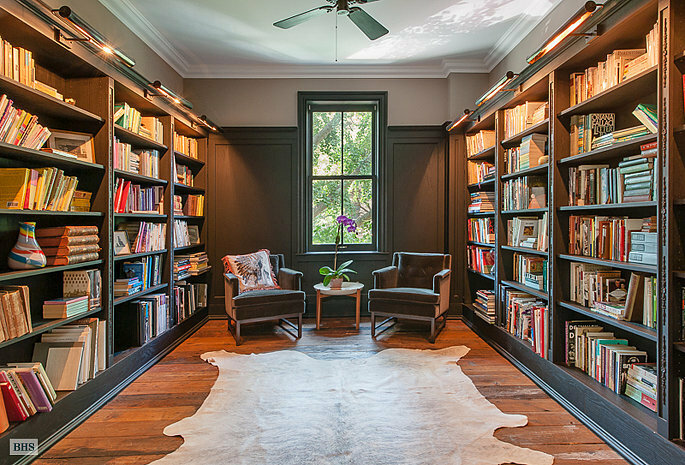 Any bookworm would go crazy over this room! Rows and rows of books, two cozy armchairs in the middle and a window to complete the scene... read your favorite book, have a cup of coffee and even take a nap. The bedroom is effortlessly chic featuring contemporary white and brown tones. 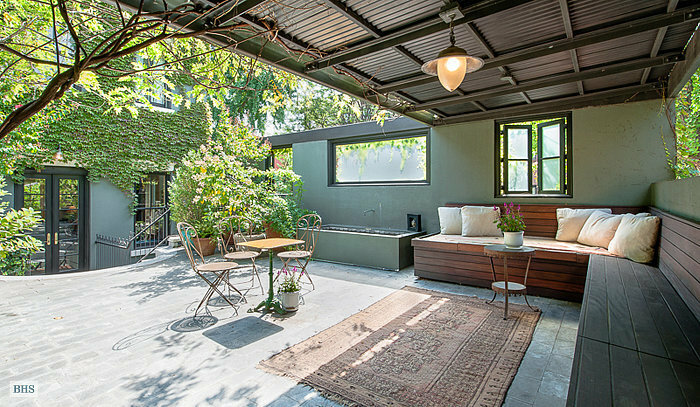 A shaded seating area and lush greenery make the patio an awesome spot for casual parties.